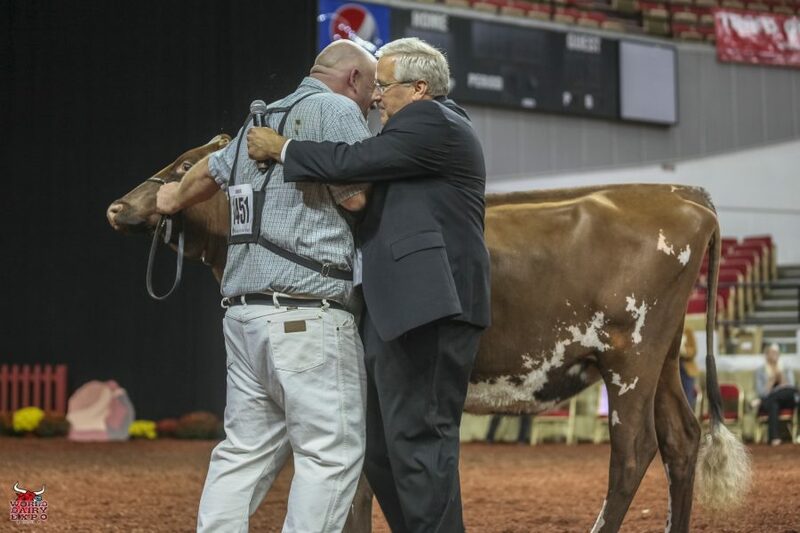 The 2018 World Dairy Expo is now complete, but not before there were a few surprises and lots of emotion. Here are some of the highlights from this year’s show. 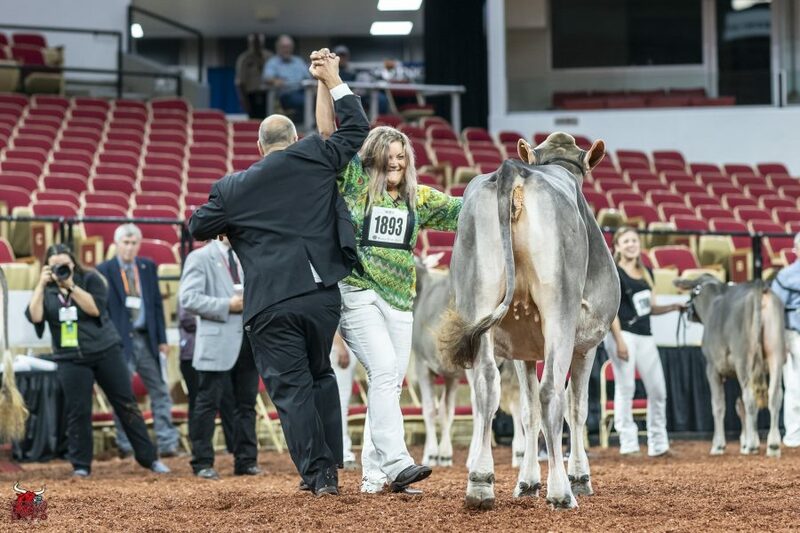 Six-Year-Old and Older Cow, Jacobs Lauthority Loana, made a clean sweep of the International Holstein Shown on Saturday, October 6, winning Senior Champion, Champion Bred & Owned and Grand Champion. 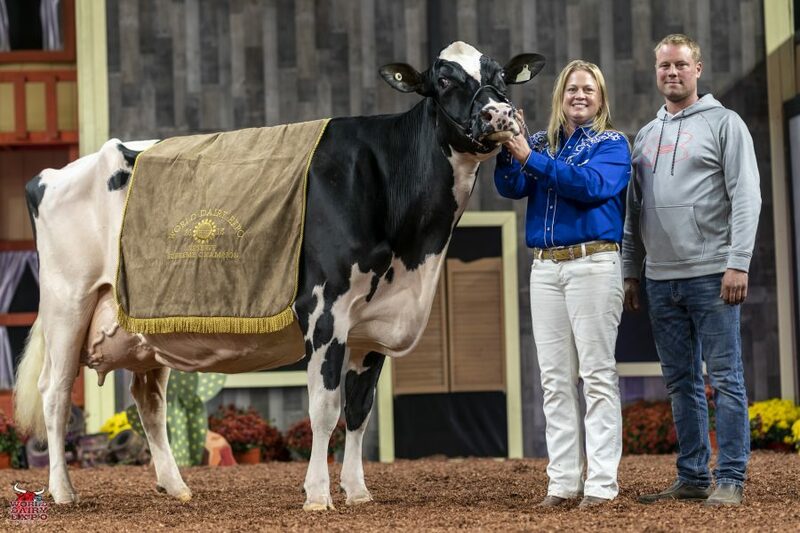 Owned by Ferme Jacobs and Pat Conroy, Cap-Sante, Qué., Canada, Loana was presented with the $1,000 Udder Comfort Grand Champion Cash Award and the Allen Hetts Grand Champion Trophy. Second in the Six-Year-Old Cow Class, Reserve Senior Champion and Reserve Grand Champion of the International Holstein Show was Weeks Dundee Anika, exhibited by MilkSource Genetics, LLC of Kaukauna, Wis.
Other champion cows in the International Holstein Show are Intermediate Champion Female, Erbacres Snapple Shakira-ET, exhibited by Ferme Jacobs, Ty-D Holsteins, Kilian Theraulaz, Ferme Antelimarck and C&F Jacobs of Cap-Sante, Qué., Canada., and Reserve Intermediate Champion, Unique Dempsey Cheers, exhibited by Budjon, Abbott, Vail, Woodmansee & Ferme Blondin of Lomira, Wis. As Intermediate Champion, Shakira was awarded a free ovum pick-up, compliments of Vytelle LLC. Milksource Taelyn-ET, the top Summer Yearling Heifer and Junior Champion of the International Holstein Show, is owned by MilkSource Genetics, LLC of Kaukauna, Wis. Garay Doorman Blind Date, exhibited by Jm Valley, Fortale and JP Proulx of Amqui, Qué., Canada, was the winning Fall Heifer Calf and Reserve Junior Champion. Winning Premier Breeder of the International Holstein Show was Ferme Jacobs of Cap-Sante, Qué., Canada. Duckett Holsteins of Rudolph, Wis, was honored as Premier Exhibitor. Braedale Goldwyn became a ten-time Premier Sire of the International Holstein Show while Premier Sire of the Heifer Show was Val-Bisson Doorman-ET. Oakfield Corners Dairy of Oakfield, N.Y. took home the title of Premier Breeder of the Heifer Show. Premier Exhibitor of the Heifer Show was Glamourview – Iager and Walton of Walkersville, Md. Premier Sire of the Heifer Show was Val-Bisson Doorman-ET. Evaluating the 394 entries were official judge Carl Phoenix, Sunderland, Ont., Canada, and associate judge Joel Phoenix, Cannington, Ont., Canada. 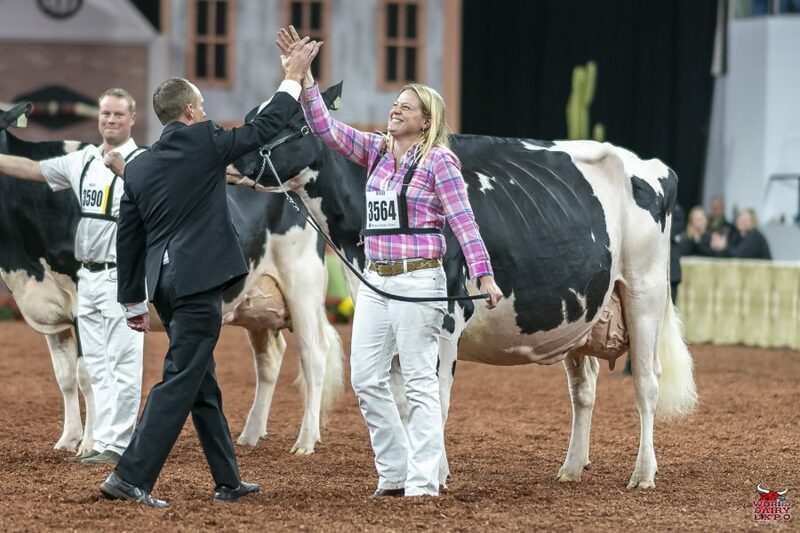 Gamlake Destry Sallie took home three new titles at the 2018 International Junior Holstein Show. 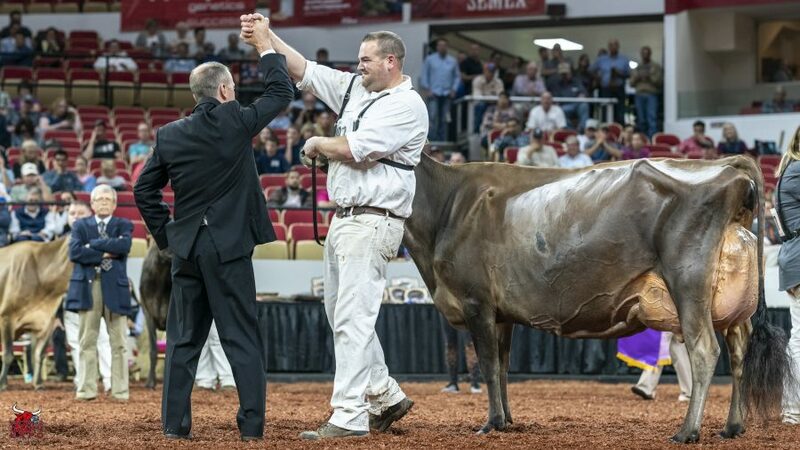 The winning Six-Year-Old and Older Cow was named Senior Champion and Champion Bred & Owned before going on to be named Grand Champion Holstein of the Junior Show. 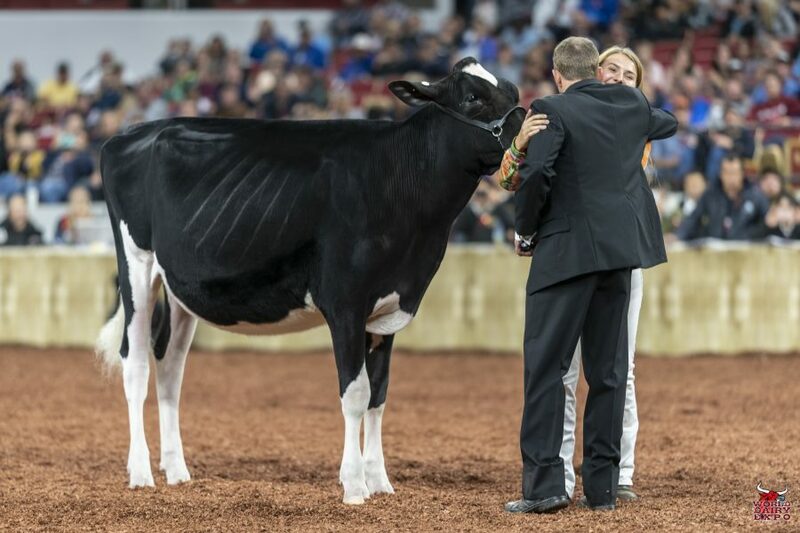 Sallie, exhibited by Samantha Gambonini, Petaluma, Calif., took home the $500 Udder Comfort Grand Champion Cash Award and the Lillian & Keith King and Jim King Grand Champion of the Junior Show Award. 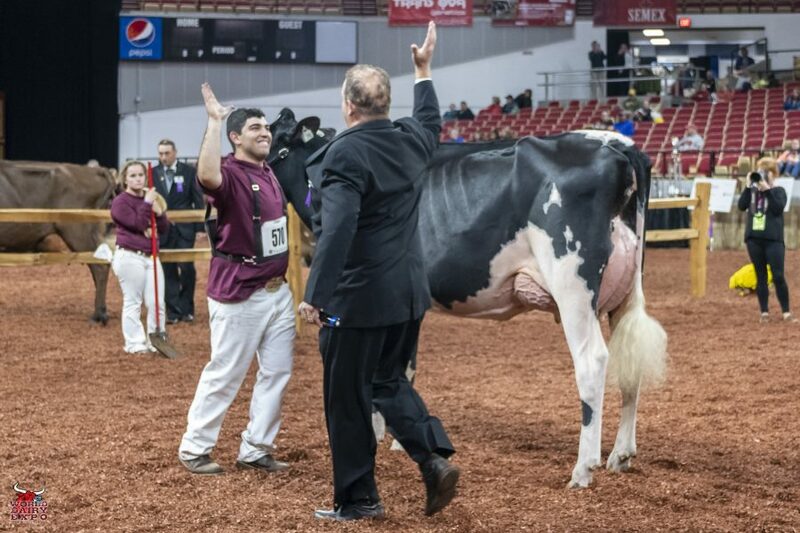 Second in the Six-Year-Old and Older Cow class and Reserve Grand Champion of the International Junior Holstein Show was Lovhilll Braxton Funky-ET, exhibited by Joseph, Zach, Jerome and Darian Stransky of Owatonna, Minn. They were awarded the Lillian & Keith King and Jim King Reserve Grand Champion of the Junior Show Award. The Intermediate Champion, Lellavan Avalanche Fuji, came from the Yearling Heifer in Milk class. Fuji is owned by B. Almeida and F, C, A, L, J & H Borba of Canton De Hatley, Quebec, Canada. The Reserve Intermediate Champion was Butlerview Door Aleah, owned by Christian Cunningham of Penngrove, Cali. Aleah was the winning Senior Three-Year-Old Cow. Budjon-Abbott Alexandra-ET and Hatee Jacoby Paris were the winning Winter Yearling Heifers and Junior Champion and Reserve Junior Champion of the International Junior Holstein Show, respectively. 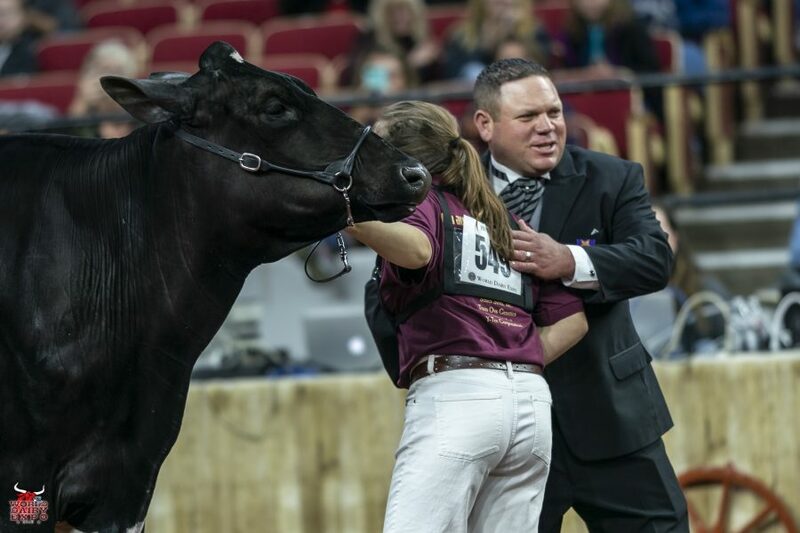 Alexandra is owned by Kaelyn, Kenadee and Keegan Weigel of Platteville, Wis. and Alyson and Kenlee Philips of Lingleville, Texas, are the owners of the Reserve Junior Champion, Paris. Evaluating the 217 entries were official judge Chris Hill, Thurmont, Md. and associate judge Robert Teixeira, Keyes, Calif.
MB Lucky Lady Feliz Navidad-ET took home three titles at the 2018 International Jersey Show: the winning Four-Year-Old Cow, Senior Champion Female and Grand Champion Female. 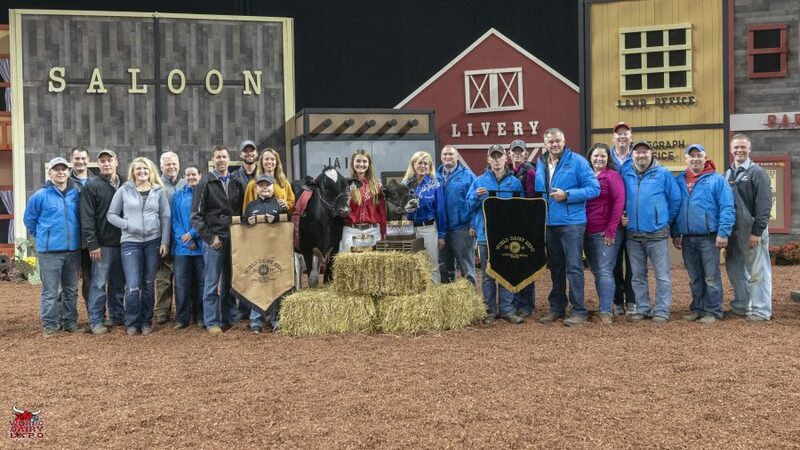 Feliz Navidad, exhibited by Rivendale Farms of Pittsburgh LLC, Bulger, Pa., took home the $1,000 Udder Comfort Grand Champion Cash Award and the Allen Hetts Grand Champion Trophy. First in the Junior Three-Year-Old Cow Class, Intermediate Champion and Reserve Grand Champion of the International Jersey Show was South Mountain Voltage Radiant, exhibited by Ernest Kueffner and Terri Packard of Boonsboro, Md. As Intermediate Champion, Radiant’s prize includes a free ovum pick-up, compliments of Vytelle LLC. Reserve Senior Champion was RRF Comerica Daisy, exhibited by River Valley Farm and Reinholt Jerseys of Tremont, Ill. Rounding out the Champion cows is Reserve Intermediate Champion, Townside Tequila Response R, exhibited by Rivendale Farms of Pittsburgh LLC, Bulgar, Pa.
Milksource Gentry Marriot-ET was the winning Fall Heifer Calf and Junior Champion of the International Jersey Show. 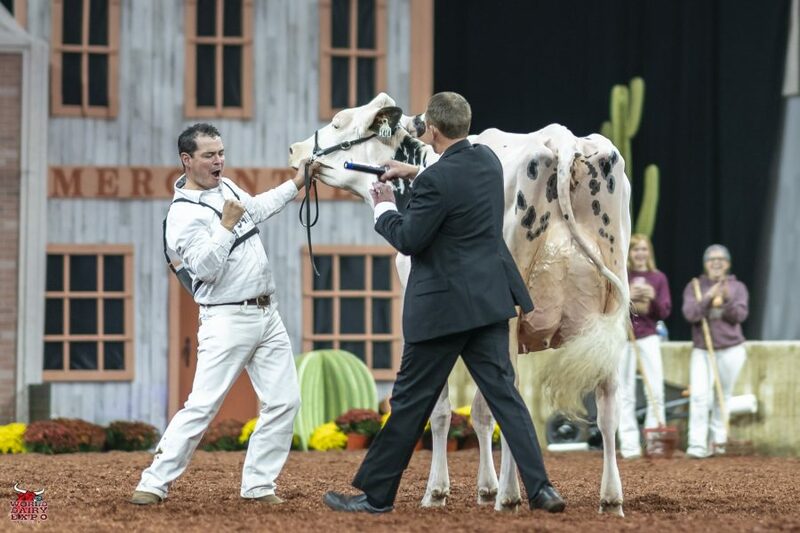 Marriot is owned by Milksource Genetics and Finca Valparaiso of Kaukauna, Wis. Mikaela Joy Yoder of Abbotsford, British Columbia, is the owner of the winning Summer Yearling Heifer and Reserve Junior Champion, Arethusa Fizz Callie-ET. The Premier Breeder of the International Jersey Show was Pleasant Nook Farms, Ayr, Ontario. While south Mountain Jerseys of Boonsboro, Md. took the honor of Premier Breeder of the Heifer Show. 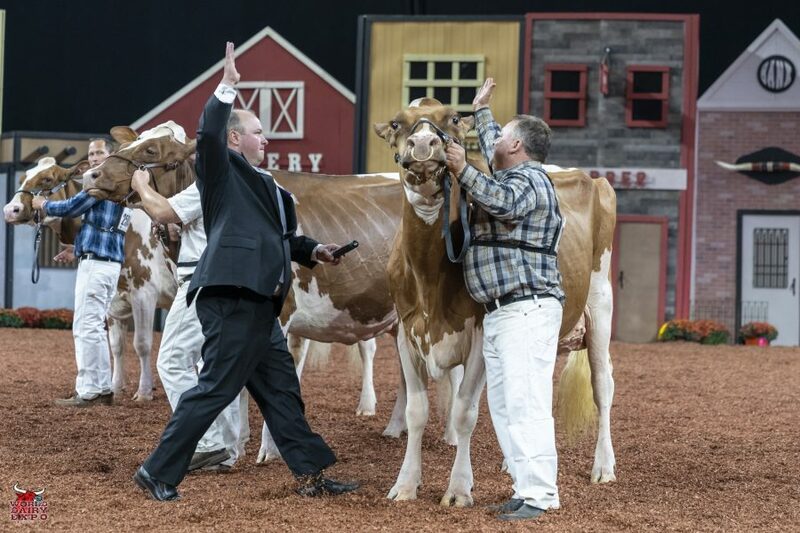 Meadow Ridge Jerseys, Cummberland, Wis., claimed the title of Premier Exhibitor of the Heifer Show with Rivendale Farms of Pittsburgh LLC Bulger, Pa., taking home the honors of Premier Exhibitor. Winning Premier Sire is Tower Vue Prime Tequila-ET and from the heifer show, Sunset Canyon Andreas was victorious. 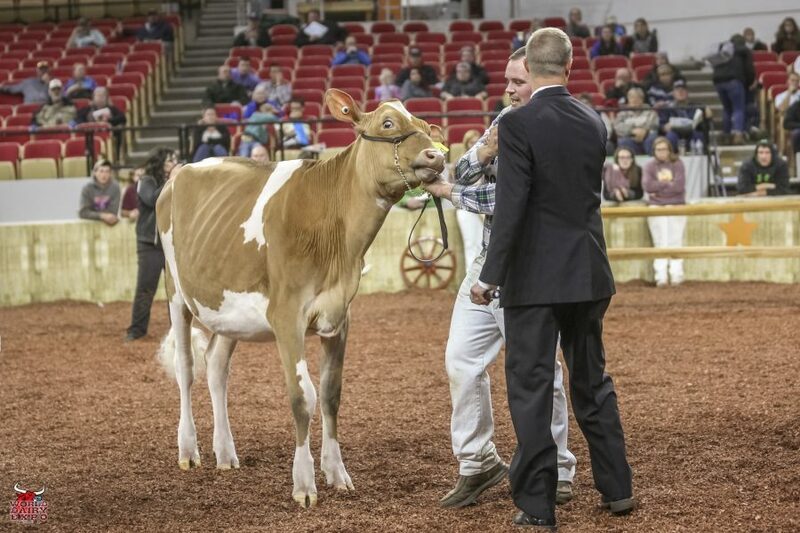 Evaluating the 388 entries were official judge Pat Conroy, Angola, Ind., and associate judge Justin Burdette, Mercersburg, Pa.
Palmyra Berkley P Ruth -ET took home three titles at the 2018 International Ayrshire Show. The winning Four-Year-Old Cow was named Senior Champion Female and Total Performance Winner before going on to be named Grand Champion of the Ayrshire Show for the second year. 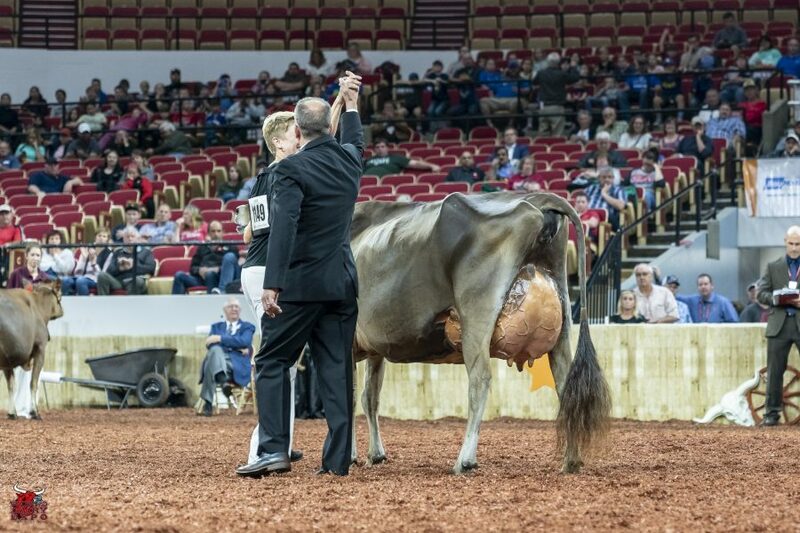 Ruth, exhibited by Palmrya Farm-Evan Creek of Hagerstown, Md., took home the $1,000 Udder Comfort Grand Champion Cash Award and the Allen Hetts Grand Champion Trophy for the second year. 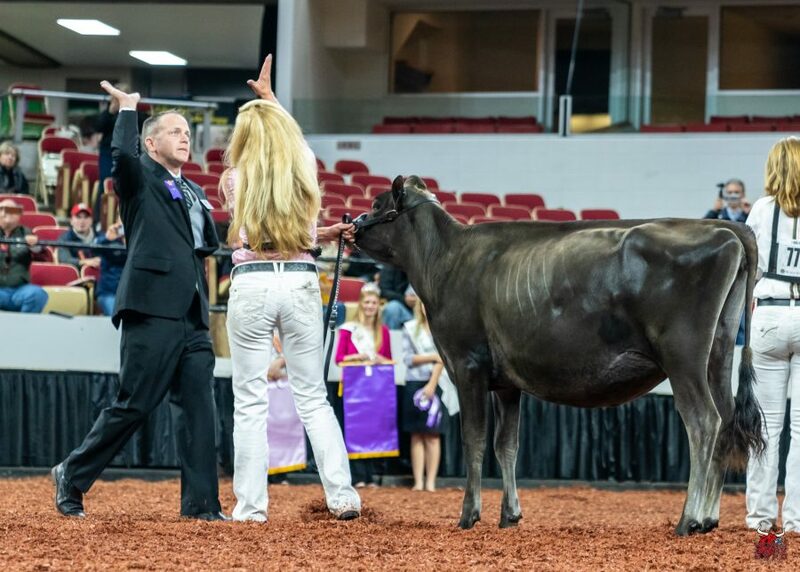 First in the Five-Year-Old Cow class and Reserve Grand Champion of the International Ayrshire Show was Marilie Gentelman Karmina, exhibited by Peter Vail and Mike and Linda Hellenbrand of Lomira, Wis.
KnH-Endres Burdette Mayhem was the winning Summer Yearling and Junior Champion of the International Ayrshire Show. Mayhem is owned by Leslie and Linda Bruchey of Westminster, Md. 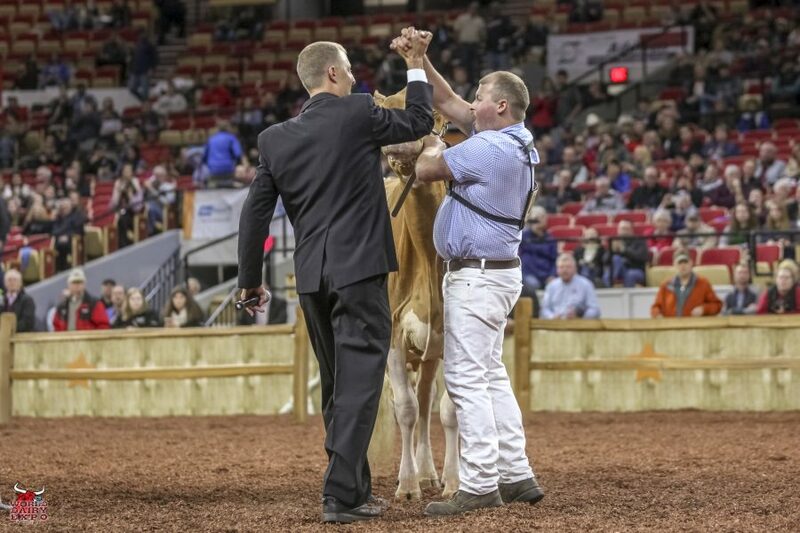 Glamourview-Iager and Walton are the owners of the winning Fall Heifer calf and Reserve Junior Champion, Jomill Burdette Kalliope. Toppglen Wishful Thinking-ET of New Bremen, Ohio, was the Senior and Grand Champion Female of the International Junior Ayrshire Show, taking home the $500 Udder Comfort Grand Champion Award on Tuesday, October 2. Shown by Tanner, Brennan, Marissa and Logan Topp, Wishful Thinking was the winning Junior entry from the Five-Year-Old Cow class. Second in the class was River-Valley Gavins Brooke, who followed to become Reserve Senior Champion and Reserve Grand Champion of the show. Brooke was exhibited by Megan, Johnathon, Bradley and Sarah Hill of Bristol, Vt. The cows received a Lillian & Keith King and Jim King Grand Champion and Reserve Champion of the Junior Show Award, respectively. 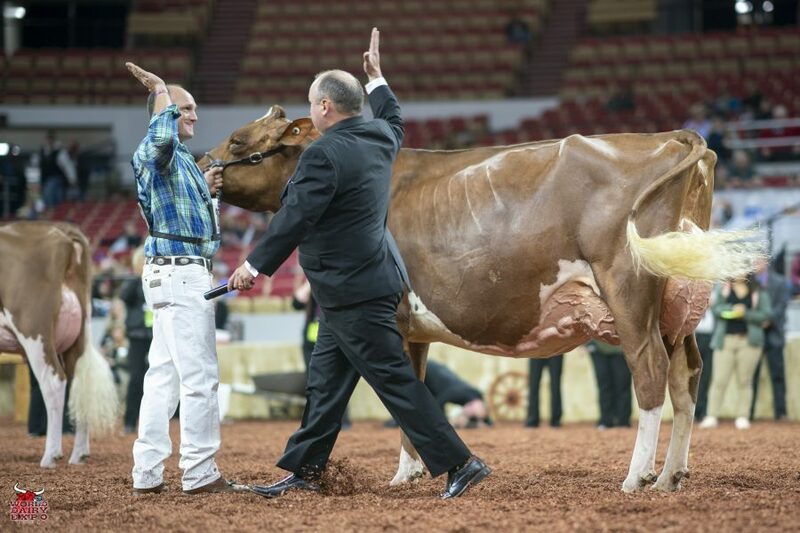 Maple Fudge Of 12 Oaks, owned by Colton and Ashley Brandel of Lake Mills, Wis. was named Grand Champion Female in the International Milking Shorthorn Show at World Dairy Expo® on October 3. 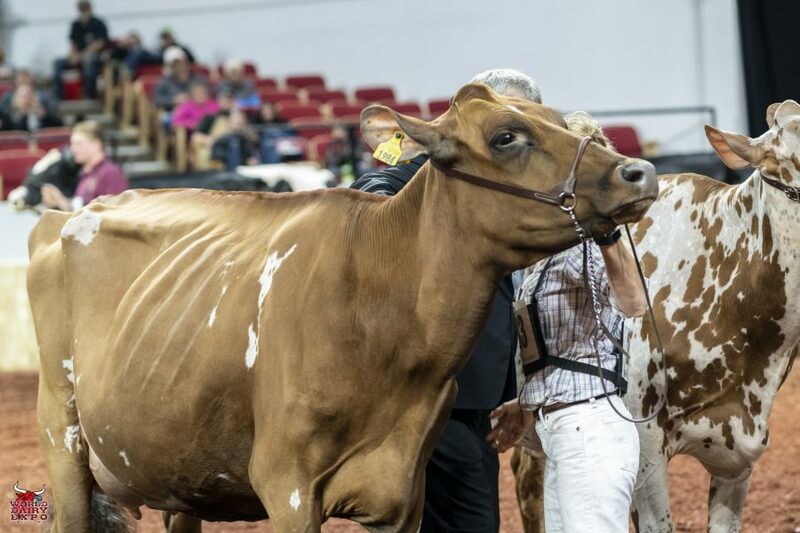 Fudge has been the reigning Grand Champion of the International Junior Milking Shorthorn Show since 2016 and finally topped the International Milking Shorthorn Show this year. Fudge also won Senior Champion Female and received the $1,000 Udder Comfort Grand Champion Cash Award. Kuszmar Mega Lely-62, owned by John P. and Marjorie Kuszlyz of Batavia, New York, was awarded Reserve Grand Champion Female and Reserve Senior Champion Female titles. 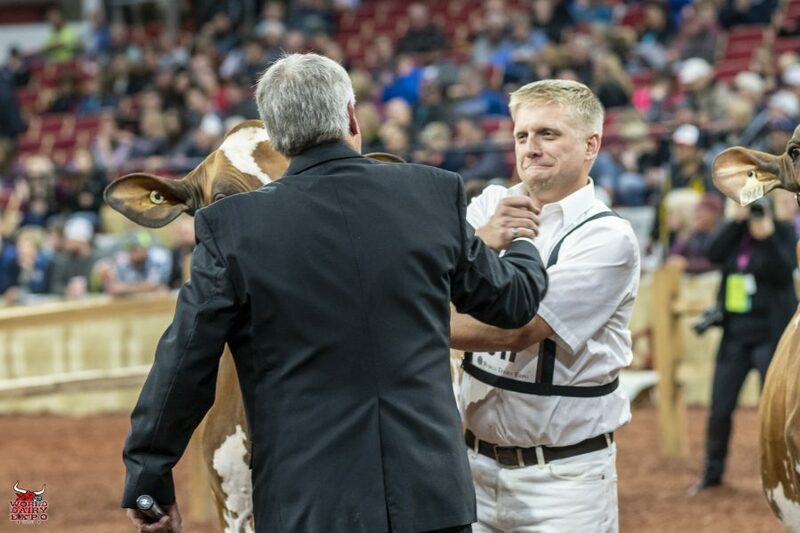 Intermediate Champion of the International Milking Shorthorn Show and recipient of an ovum pick-up compliments of Vytelle LLC, is Corstar Presto Mango P-EXP, owned by Cory and Kristen Salzl of Litchfield, Minn. The Salzls also exhibited Corstar Presto Lulu-ET, the Reserve Intermediate Champion. 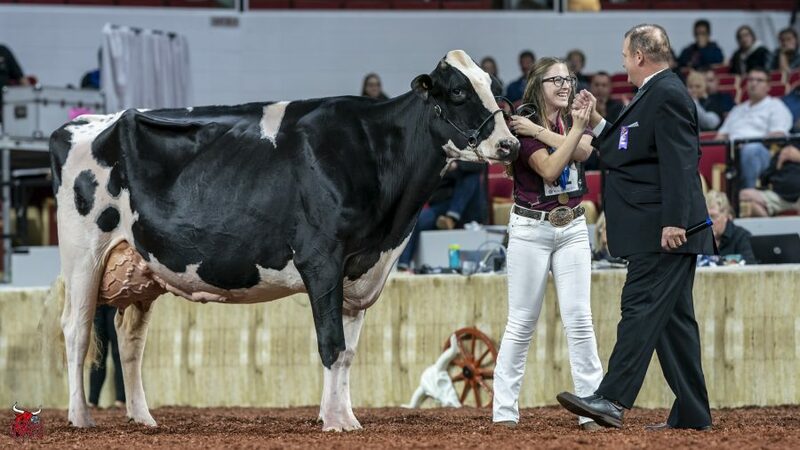 Taking home the Junior Champion title was Innisfail-Wo Julius Lucy owned by Jeffery McKissick and Mike Uber of New Castle, Pa. Winning Reserve Junior Champion was KnH Endres Zeus Legendary owned by Mikayla Endres from Lone Rock, Wis. 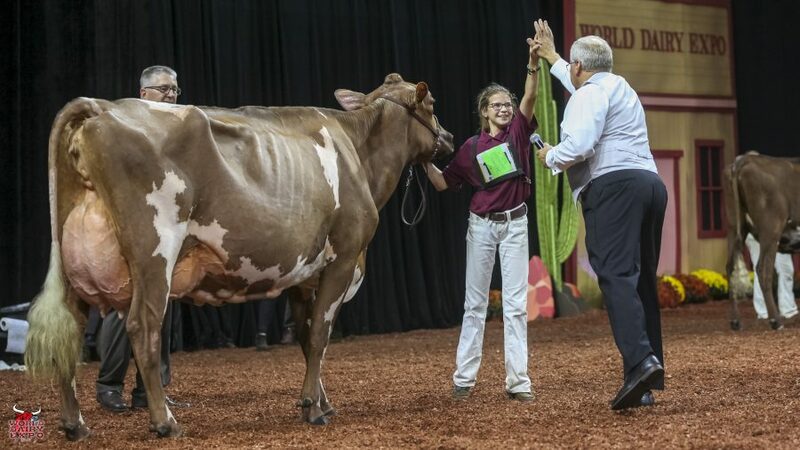 Maple Fudge of 12 Oaks was named Grand Champion and Senior Champion of the International Junior Milking Shorthorn Show on Wednesday, October 3 at World Dairy Expo®. 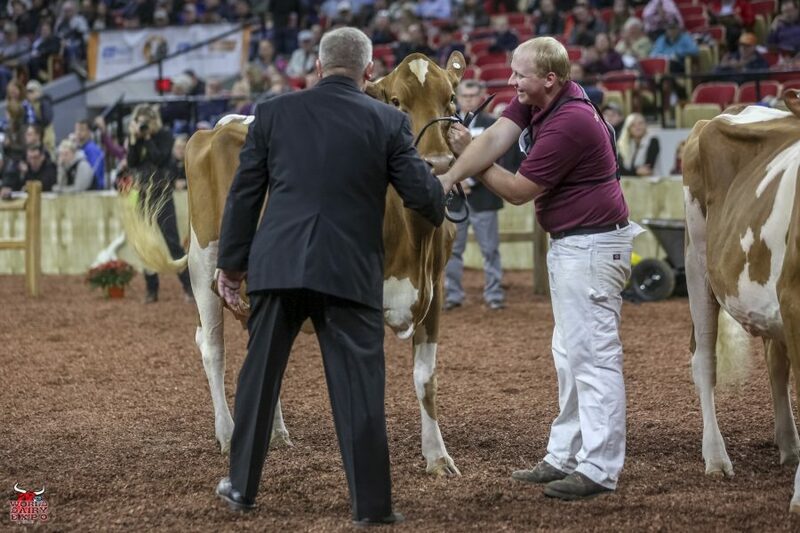 Owned by Colton and Ashley Brandel of Lake Mills Wis., she earned $500 Udder Comfort Grand Champion Award and the Lillian & Keith King and Jim King Grand Champion Junior Show Award for the third year in a row. Maple Fudge was the winning Junior Entry from the Four-Year-Old Cow class. 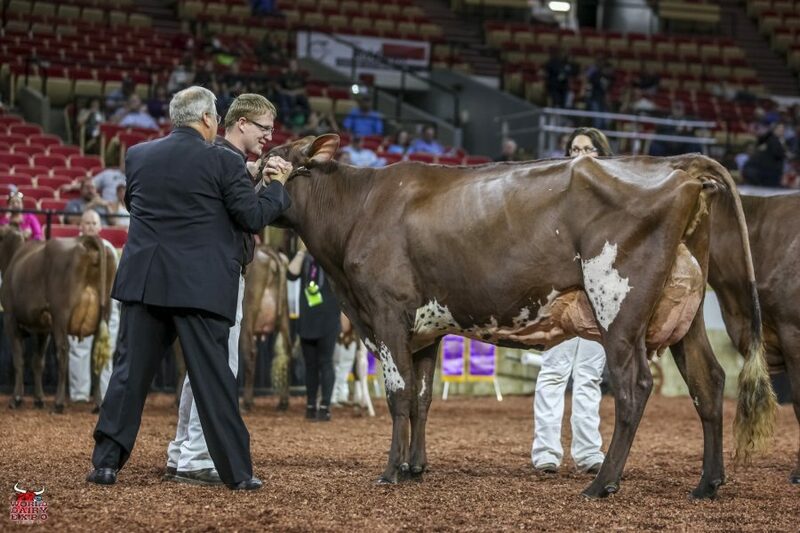 Reserve Grand Champion and Intermediate Champion of the International Junior Milking Shorthorn Show went to Lazy M PS LadyLump Exp-ET, owned by Scotty Young and Brett Groebner of Monroe, Wis. She received the Lillian & Keith King and Jim King Reserve Grand Champion Junior Show Award. 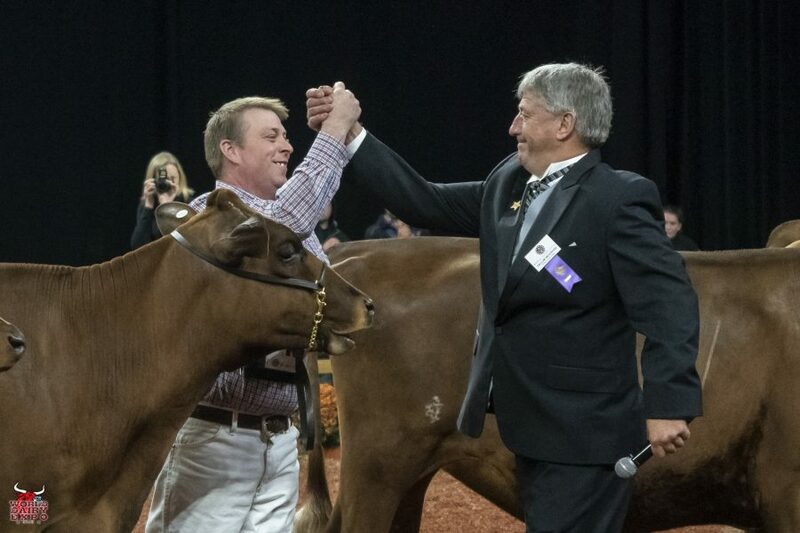 The Reserve Intermediate Champion Female of the International Junior Milking Shorthorn Show was the winning Junior entry from the Junior Three-Year-Old Cow class, Heavenly Creampuff was shown by Johnathon A Clark of Cornish, N.H. 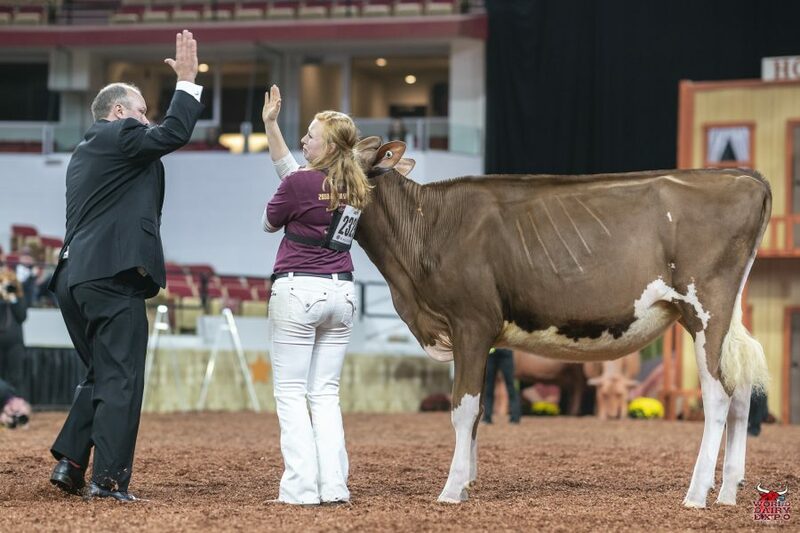 The Reserve Senior Champion of the International Junior Milking Shorthorn Show went to Halpins Baby Ruth exhibited by Taylor Graves of Danville, Ky.
KnH Endres Zeus Legendary and Designer Genes Butterqueen were selected as Junior Champion and Reserve Junior Champion of the International Junior Milking Shorthorn Show, respectively. 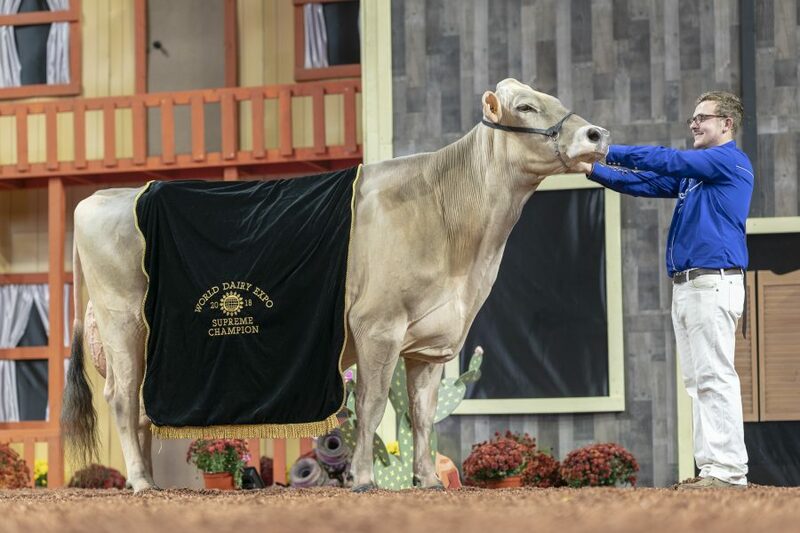 Mikayla Endres, from Lone Rock, Wis., led KnH Endres Zeus Legendary to victory in the Fall Yearling Heifer class, and Kara Yannesse of Edinburg, PA. exhibited Butterqueen, the first place Winter Yearling Heifer. Official Judge Brian Behnke, Albany, Wis. and Carla Stetzer, Alma Center, Wis., associate judge, placed 218 entries. 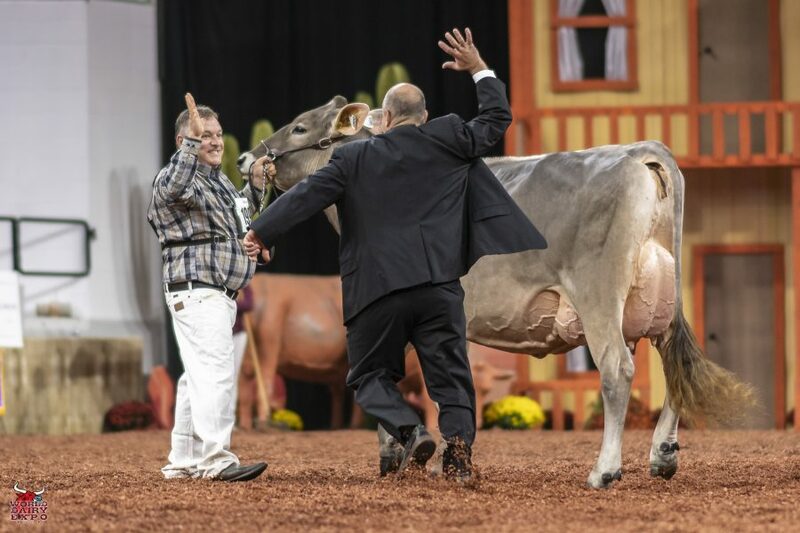 Junior Three-Year-Old Cow, Hi Guern View Diva Designer, took home the title of Grand Champion Female of the International Junior Guernsey Show on Friday, October 5 at World Dairy Expo®. Exhibited by Riley Zettle of Rock City, Ill., Designer placed first in her class before winning Intermediate Champion and finally, Grand Champion Female of the Junior Show. Designer was presented the $500 Udder Comfort Grand Champion Cash Award and the Lillian & Keith King and Jim King Grand Champion of the Junior Show Award. Reserve Intermediate Champion and Reserve Grand Champion of the Junior Show was awarded to the Senior Three-Year-Old Cow Warwick Manor Ty Carter, exhibited by Kaila, Karli and Kolby Stoltzfus of East Earl, Pa.
Rounding out the champion cows are Senior Champion Female of the International Junior Guernsey Show, H Broke Showtime Taytor, exhibited by Dana & Madison Sickles of Marengo, Iowa, and Reserve Senior Champion Female, Hartdale Top Notch Coco, exhibited by Lauren Robison and Braden Hartmann of Mulberry Grove, Ill.
Sniders HP GG Lonestar Amazing-ETV, leased by Logan Harbaugh and owned by Amazing Syndicate of Marion, Wis., claimed the title of Junior Champion Female of the International Junior Guernsey Show, while Hartdale Primetime Cami, exhibited by Lauren Robison and Braden and Connor Hartmann of Mulberry Grove, Ill., took Reserve Junior Champion. 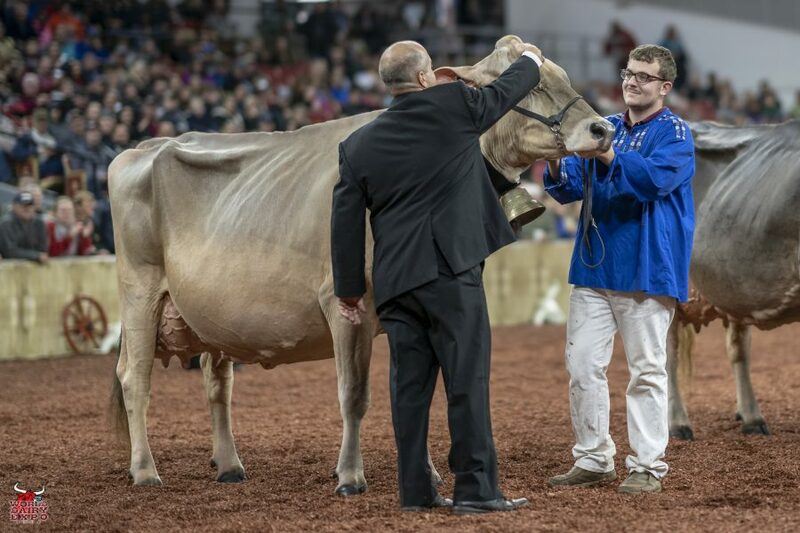 For only the second time in World Dairy Expo’s 52-year history, the Supreme Champion of the Junior Show and the Supreme Champion of World Dairy Expo are the same cow. Cutting Edge T Delilah, exhibited by Kyle Barton of Copake, N.Y. is the Grand Champion Brown Swiss and the 2018 Supreme Champion of both the junior and open shows. Also making history as the inaugural Supreme Champion Heifer of the Junior Show is the Junior Champion of the International Junior Red & White Show, Ms Kress-Hil Saphire-Red-ET, exhibited by Owen and Kendyll Kress and Savanah Barts, Newton, Wis., and the Supreme Champion Heifer, Milksource Gentry Marriot-ET, exhibited by MilkSource Genetics, LLC and Finca Valparaiso of Kaukauna, Wis., the Junior Champion of the International Jersey Show.